We invite everyone interested in this topic, in advocacy and on ending global poverty to join us. Come and learn with us and let’s take action! The Editorial section is still widely read and letters can raise awareness, change opinions and influence public policy. Do you want to see your name in print? Are you wondering how to go about getting published? Join two of RESULTS most published advocates in North America, Willie Dickerson (USA) and Nathaniel Poole (Canada). 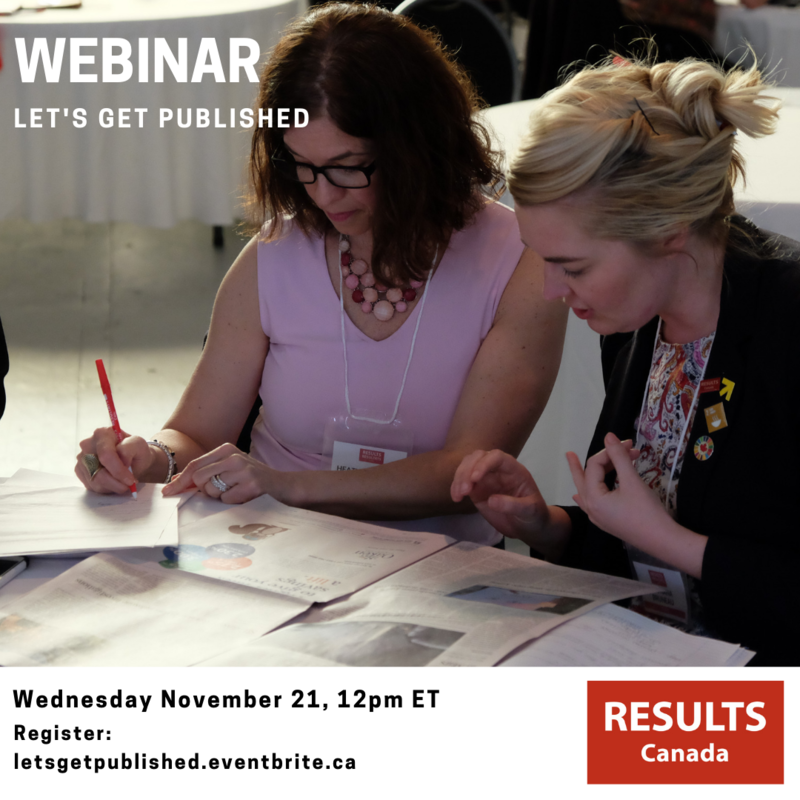 This webinar will explore practices on writing engaging letters and how they can be powerful tools in our advocacy work. This webinar (Wednesday, November 21 at 12 pm ET) will be in English. Questions in French are welcome. We expect the webinar to be about 45 minutes to 1 hour. Please try to join a couple of minutes before the starting time to make sure we start on time. Contact us at [email protected] for any questions.